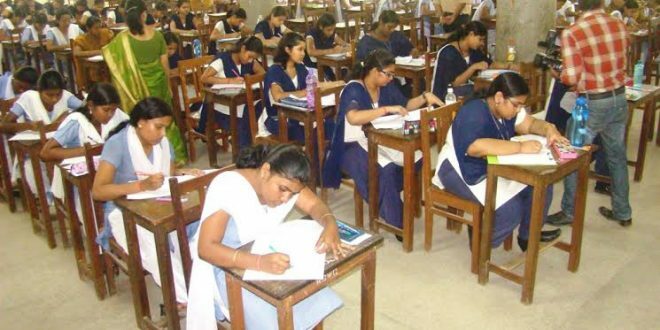 Bhubaneswar: The annual +2 examination conducted by the Odisha Council of Higher Secondary Education (CHSE) began on Tuesday across the state amid tight security. The Plus Two examination began at 1104 exam centres in the state. While the first day of the examination featured English paper of Science and Commerce streams, the exam for Arts stream will start from tomorrow with the same subject. Students have been asked to reach their respective centres at 9:30 am. They would be given answer sheets at 9.45 am and question papers sharp at 10 am. Adequate steps have been taken to check malpractices. A total of 3,65,826 students have been enrolled for the Plus Two exam this year. CHSE has issued letters to all the superintendents of +2 examination centres over ban on mobile phones. The superintendents have been instructed to ban entry of mobile phones and other electronic devices into the examination hall. The prohibition will be applicable on candidates, invigilators and other staff.